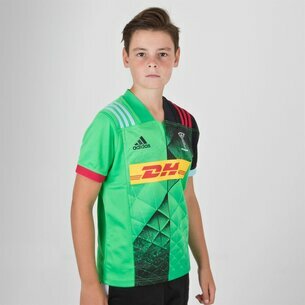 Don't miss out on the fresh, new adidas Harlequins shirt as the 18/19 3rd Kids S/S Replica Rugby Shirt comes with inbuilt flash technology designed to come alive. 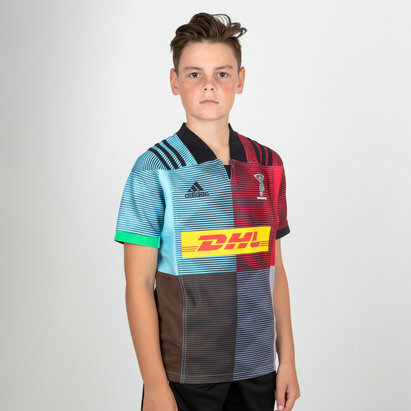 As one of the founding members of the RFU the Gallagher Premiership Harlequins have brought out their third shirt for the current season in collaboration with adidas. Sticking with the club's jester that has been the club's motif for over 150 years the Harlequins shirt for 18/19 comes with an edge and is possibly the most flash and best shirt of the lot. 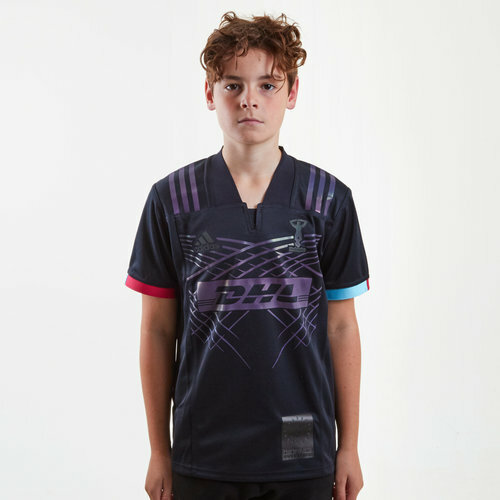 This industry-first kit, developed by adidas rugby and to be worn at Big Game 11, uses technology taken from reflective foils normally seen in running and cycling apparel. 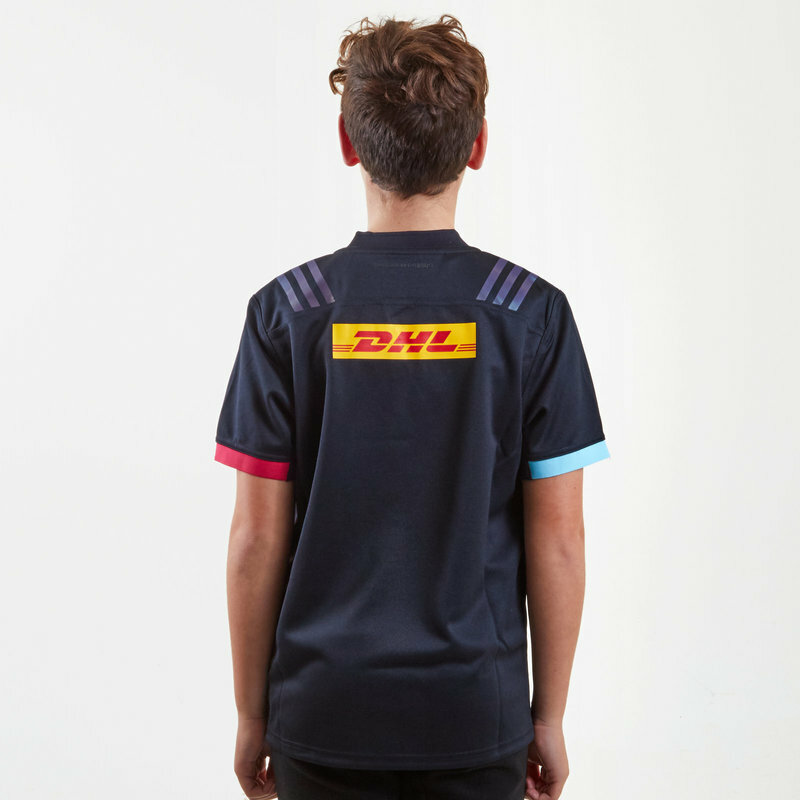 The tonal graphics and logos come to life when the colour reflective technology is exposed to vibrant light and the Harlequins colours are flashed back from within the jersey. The design is inspired by Harlequins being the London rugby team and the vibrancy of the capital at night. 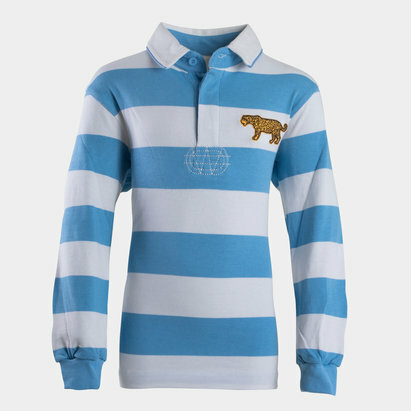 The reflective technologies in this shirt contain the full spectrum of the club's iconic colours.